Organs and Skeleton Stickers on Fold Out Cardstock People Shapes. Learn all about you, from the inside out! Decorate the fold out shape with these bright and colorful stickers. On the front, show the world who you are on the outside with fun clothing designs. 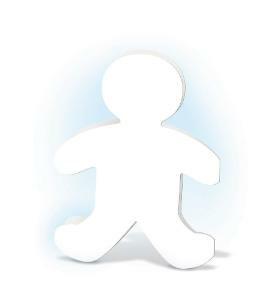 The cardstock is perfect for coloring and decorating to make it all your own. 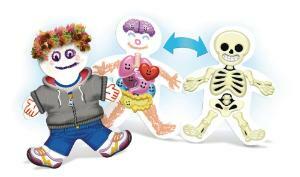 Then, open up the card to add on the adorable stickers of organs and bones, all while learning how the body works! Ordering information: Includes 12 fold out shapes, 17 clothing stickers, 60 skeleton and organ stickers. 8.5×11" and guide. Packaging: Poly bag with header.